After finishing 2016 with record number of IPOs in recent years, Primary market is looking at even stronger performance from the upcoming IPOs in India this year. To be precise, there were 27 mainboard IPOs in India last year and a look at the IPO performances in 2016, only six IPOs debuted below their IPO prices. Although the market showed weakness towards the end of the year, we have a strong pipeline and some first-time developments which should keep the IPO market an interesting and exciting place in 2017. Here is a list of potential top IPOs in 2017. Asia’s oldest stock exchange is coming up with its maiden public offer and it may be best of the upcoming IPOs in India this year. Following several regulatory hurdles and conflicts of interest, market regulator SEBI notified changes to its regulations regarding Stock Exchanges and Clearing Corporations on 1 January 2016. Draft prospectus was filed in September 2016 and BSE received SEBI approval in December. The stock exchange will not get any proceeds from the listing as all shares will be offered by existing shareholders but it will surely be a unique experience for retail investors who will get a chance to own shares of a stock exchange. The IPO will likely hit the market later this month, click here to get more information about BSE IPO. Right from beginning, BSE has been quite open to the idea of listing itself but the same was not true for bigger rival NSE. The exchange was reluctant to the point that it was accused of deliberately delaying the IPO process. Nevertheless, its board approved the IPO in June last year while also recommending an overseas listing. Finally, the company filed draft prospectus in December 2016 and its application is currently under review with SEBI. Like its rival, NSE IPO will also not generate funds for the exchange and will be purely an exit route for existing shareholders which include stalwarts like SBI, LIC, IFCI, IDBI Bank, Goldman Sachs, Stock Holding Corporation, Tiger Global and Citigroup. Public sector IPOs have maintained their reputation for leaving something on the table for retail investors and NSE IPO is likely to maintain the trend which makes it a promising offer among the best upcoming IPOs in India this year. Besides, the massive offer of INR10,000 crore will make result in generous allotment for IPO investors. 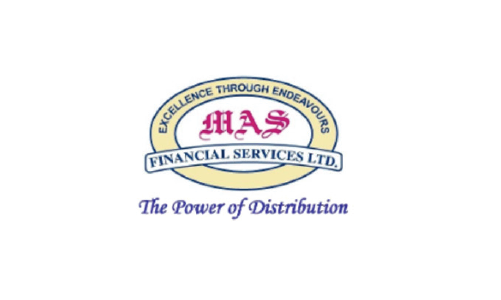 BSE’s depository subsidiary Central Depository Services Limited (CDSL) is following its parent and public listing is scheduled during the year. As owning more than 24% in a depository company is not allowed for stock exchanges, CDSL IPO is necessary to bring down BSE’s stake in the subsidiary. BSE holds just slightly above 50% equity stake in the depository firm even after selling nearly 4% last year to Life Insurance Corporation (LIC). Other major investors in the company include SBI, HDFC Bank, Standard Chartered Bank, Canara Bank, Bank of India and Bank of Baroda. Apart from BSE, selling shareholders in CDSL IPO will be SBI, Bank of Baroda and Calcutta Stock Exchange. CDSL has filed IPO papers with SEBI and is awaiting regulatory approvals. According to the draft prospectus, CDSL earned a net profit of INR74.1 crore on consolidated revenue of INR139.4 crore during FY2016. This exceptional net profit margin of 53% will put CDSL quite high in the list of top upcoming IPOs in India this year. The IPO of Avenue Supermarts – which operates the chain of D-Mart supermarket retail stores – will be a very interesting one for investors as the company is owned by renowned stock market investor Radhakishan Damani. Unlike most other offers in this list, Avenue Supermarts IPO will be totally an issue of fresh shares. The Thane-based company filed IPO papers in September and has already received SEBI clearances. As a result, it will be among the first ones to launch its IPO in 2017. D-Mart is among the fastest growing modern retailers in India and has been prudent with its focus and costs. Retailing is not a high margin business but D-Mart has kept a lid on its costs through various methods even though it is usually the lowest priced retailer in the regions it operates. Another high flyer in the list of upcoming IPOs in India this year is CL Educate which operates test preparation chain Career Launcher and Indus World Schools. CL Educate IPO will be a mix of fresh shares and an offer by existing shareholders. The New Delhi-based company plans to use the IPO proceeds for funding working capital requirements, pre-payment of certain loans and acquisitions and other strategic initiatives. The IPO will involve sale of 46.9 lakh shares, including 26.29 lakh shares by promoters. Depending on the price, the IPO may raise INR300 crore. This is the second time the education-focused player is looking to list itself. The company had also moved its IPO application in to SEBI in September 2014 but withdrew it next year saying that it was considering strategic opportunities. 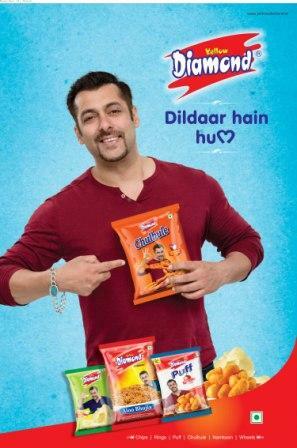 Indore-based Prataap Snacks is the company behind Yellow Diamond branded Indian snacks. Now before you dismiss it as a regional player, bear in mind that this fast-growing company has the backing of private equity giant Sequoia Capital. Of course, Sequoia will be making an exit in Prataap Snacks IPO but the issue will also generate funds for the company’s expansion. Out of the nearly INR250 crore Prataap Snacks plans to raise by issuing new shares, INR50 crore will be used to repay or prepay borrowings while INR72 crore will be invested towards capital expenditure in setting up new production lines and modernizing existing manufacturing facilities at Indore and Guwahati. The company plans to use INR40 crore towards marketing and brand building activities and has already signed up Salman Khan as its brand ambassador. As a desi kid challenging global players like Frito Lays, Prataap Snacks is an interesting play and could be among the best performing of the top upcoming IPOs in India this year (click this link to see how the company is beating bigger players on their turf). We haven’t forgotten how Manpasand Beverages rewarded investors in 2015 and it is wonderful that Prataap Snacks has a similar growth story. Housing & Urban Development Corporation Ltd (HUDCO) is also quite high in the list of top upcoming IPOs in India this year. The PSU is completely owned by the government (President of India as a matter of fact) and the IPO will result in a divestment of 10% equity through offer for sale (OFS). The company received government approval last year for the IPO and has filed papers with SEBI. HUDCO is a profitable company and has registered higher profits in each of the last four years. As HUDCO pays dividends regularly, its IPO will appeal to dividend investors as a portfolio stock. In FY2016, it posted net income of INR774.3 crore on consolidated revenues of INR3,302.2 crore. By no means this is an all-inclusive list as there are several more top IPOs in 2017 including Music Broadcast Ltd, UTI Mutual Fund, S Chand & Company, and Aster DM Healthcare to name a few. To get more information, head to our regularly updated page for upcoming IPOs which has details of IPOs with regulatory approvals as well as the ones awaiting approvals. Good IPO, Strong profits is there. S Chand IPO will be very interesting. They have strong sales, profits and private investors are behind them.